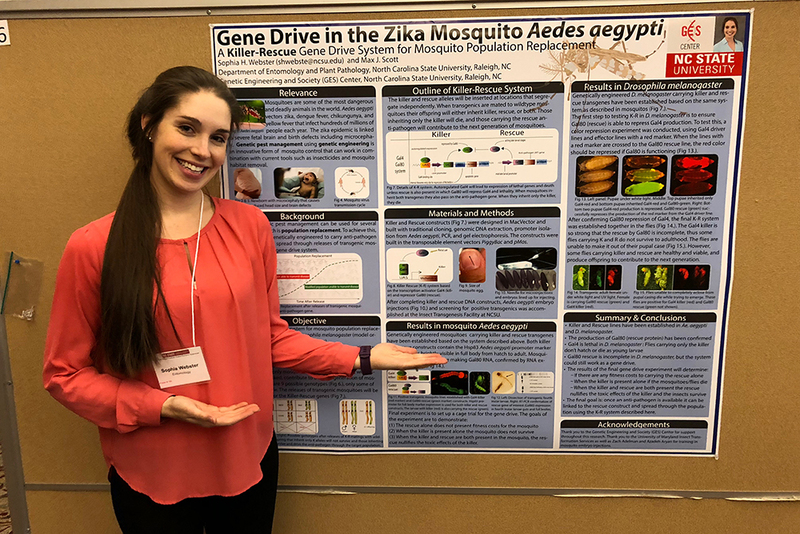 Kudos to Sophia Webster, a GES PhD candidate in Entomology and Plant Pathology, for winning first place at Graduate Student Research Symposium! 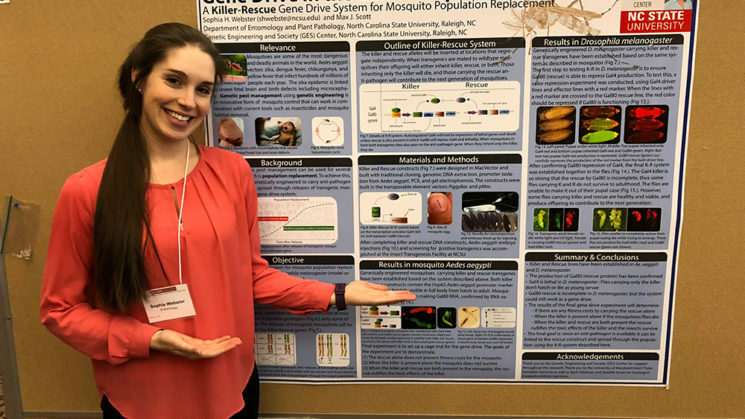 The Symposium, held March 21, included poster presentations from more than 200 graduate students from NC State University. 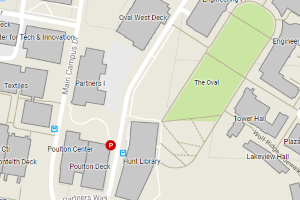 Posters were judged by faculty, and students received recognition for top posters. The goals are to showcase the outstanding quality and diversity of graduate-level research at NC State, in addition to providing students with the opportunity to practice and enhance their communication skills with those outside of their discipline. Sophia is part of the 2012 IGERT cohort whose focus is mosquitoes and human health. The first IGERT course took place in Lima and Iquitos, Peru where the cohort attended tropical medicine symposiums, visited health clinics and several farms to speak with farmers. The cohort also shadowed NAMRU workers door to door in in Iquitos as the workers completed their household mosquito checks and surveys. Additionally, the cohort conducted household experiments on the density dependent effects of mosquito larvae in household containers. Read more about Sophia. Mosquitoes transmit numerous diseases with great morbidity and mortality that affect hundreds of millions of people each year. The mosquito Aedes aegypti is a vector for zika, dengue, chikungunya, and yellow fever. The symptoms of these viruses can range from minor flu-like to severe hemorrhaging, circulatory shock and sometimes death. The zika epidemic has led to thousands of babies born with microcephaly and other severe birth defects. Genetically engineering mosquitoes to carry anti-pathogen or lethal genes is an innovative form of vector control that can work in combination with current tools such as insecticides and larval habitat removal. Genetic technologies designed for population replacement are a promising approach to mosquito vector control. The end goal of population replacement is to drive anti-pathogen genes though a population so that the original disease transmitting population is replaced with a population that has decreased vector competency and is incapable of spreading the virus. Since mosquito population densities are so high, researchers are favoring population replacement approaches over population suppression or eradication. We are creating a gene drive system, that when coupled with an anti-viral gene, can be used to reduce disease incidence through mosquito population replacement. This gene drive system, Killer-Rescue, includes two engineered constructs that are present on independently segregating loci. Mosquitoes that inherit the killer gene die unless they also inherit the rescue gene, which in the future, will be coupled to an anti-viral gene. Thus, the only mosquitoes that survive each generation are those that inherit the rescue and linked anti-viral genes. We have established an initial killer-rescue gene drive system in Aedes aegypti as well as Drosophila melanogaster and are beginning laboratory cage experiments to test the efficacy of the system to drive the desired genes through a population. GES Colloquium, 3/5/18 – Aditi Mankad – Social Science and Synthetic Biology: Maximising Impact | This talk will provide an overview of Australia’s investment into synbio via the Synthetic Biology Future Science Platform (SynBio FSP) and how the social science application domain plays an important and integrative role in the future development of synbio technology in Australia.